As our future Belmont residents get ready to build their dreams, everyone came together in a beautiful setting overlooking the dam near Peel Park to share a meal, meet soon-to-be neighbours and start creating new memories. The weather made the evening a little cosier than planned, but conversation flowed effortlessly as neighbours introduced themselves and began establishing their neighbourhood. 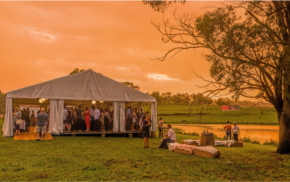 A big thanks to chef Nikki Phillips from A Shared Affair who cooked a delicious grazing-style meal using fresh summer produce from our Hawkesbury region. The cakes hit the sweet spot for dessert! Singing duo ‘LEFT’ entertained with a range of classic hits, and our Redbank resident photographer, Tom Walsh, was on hand taking a few snaps, that are now available for viewing on our website and facebook page. It was a great first ‘Meet your neighbours’ event, and we look forward to many more to give future Redbank residents the opportunity to establish connections and develop new friendships with their neighbours. Great news - Registration of The Gallery is now in folio creation, which is the final stage of the registration process. Once registration has been advised our solicitor, Thomson Geer, will be contacting purchasers’ legal representatives. Settlement will be within 14 days of notice. The additional lot preparation being undertaken by JK Williams on behalf of McDonald Jones Homes is now complete. McDonald Jones Homes will then commence applying for Construction Certificates. This process is expected to take roughly four weeks to complete. If you have purchased a new home within The Gallery and would like a chance to see your lot, temporary fences will be removed following registration. Once McDonald Jones homes have gained the necessary Construction Certificates and are ready to put slabs down, the temporary fence will be reinstated until building is complete. If any purchasers have questions relating to their building contract with McDonald Jones Homes, please contact Elif Kaplan via email at ekaplan@mjhmulti.com.au or on 02 8808 7467. Purchasers of nine lots in Mountain View within the Stage 1 release of lots, will soon have registration. As per with our Gallery purchasers, our solicitor Thomson Geer, will be contacting purchasers’ legal representatives. Once they have been advised of registration, settlement will be within 14 days. We have been working closely with Sydney Water to release the section 73-certificate required for lot registration for Stage 2. Once this is recieved Hawkesbury City Council will then review our subdivision application. Following this, we will lodge the Plan of Subdivision for registration of lots. Our team continues to work with Sydney Water to resolve water connection for our Stage 3 release as quickly as possible. Preliminary site works are continuing with 2 of the bigger dams in the precinct now removed. Decommissioning of Dam 10 has now commenced. 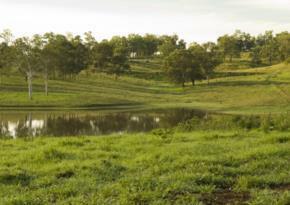 Only 8 lots remain for sale in Belmont. If you or anyone you know is interested in one of these lots, please contact our sales office on 1300 289 733 to discuss before they are snapped up. Subject to final approvals and weather conditions the anticipated timeframe for registration is fourth quarter of 2017. Lots in our Yeomans precinct are being snapped up. Contracts for Stage 4 will be issued to purchasers in the next fortnight. Our team is continuing work on the detailed civil and utilities design. This process will take a few months to complete. We will keep our Yeomans purchasers up-to-date as plans progress. Subject to final approvals and weather conditions, the timeframe for registration for Yeomans Stages 1-3 is anticipated to take place in the fourth quarter of 2017 with Stage 4 following in June 2018. As more purchasers become residents, it’s wonderful to see the neighbourhood grow and take shape. Many of you have already started to create your own patch. Remember to establish and maintain your gardens and front nature strip. The developer’s maintenance period is only a couple of months from completion. Please continue to look out for each other’s properties. If you see any suspicious activity, phone Windsor Police Station on 0245 874 099. We have installed cameras to help monitor any illegal dumping. If you continue to experience issues on your lot, please report this to Hawkesbury City Council on 0245 604 444. Local RSL Lifecare Retirement Village resident and avid photographer, Tom Walsh has been out and about around Redbank. We are not sure Tom could top the photo used in our Belmont story but there was another great shot from the Belmont dinners stormy sunset.